Phillip Bradley "Brad" Bird (born September 24, 1957) is an American filmmaker, known for both animated and live-action films. Bird developed a love for the art of animation at an early age and was mentored by Milt Kahl, one of Disney's legendary Nine Old Men. He was part of one of the earliest graduating classes of the California Institute of the Arts alongside John Lasseter and Tim Burton. Afterwards, Bird worked as an animator for Disney and wrote the screenplay for Batteries Not Included (1987). Bird served as a creative consultant on The Simpsons during its first eight seasons, where he helped develop the show's animation style. Afterwards, Bird left to direct his first animated feature, The Iron Giant (1999), which fared poorly at the box office but came to be regarded as a modern animated classic. He rejoined Lasseter at Pixar in 2000, where he would develop his second picture, The Incredibles (2004), and his third picture, Ratatouille (2007). Both films place among Pixar's highest-grossing features and gave Bird two Academy Award for Best Animated Feature wins and Academy Award for Best Original Screenplay nominations. In 2011, Bird transitioned to live-action filmmaking with Mission: Impossible – Ghost Protocol, which became the highest-grossing and best reviewed film of its franchise. His latest film, Tomorrowland, starring George Clooney, was released in May 2015. Bird was born in Kalispell, Montana, the youngest of four children of Marjorie A. (née Cross) and Philip Cullen Bird. His father worked in the propane business, and his grandfather, Francis Wesley "Frank" Bird, who was born in County Sligo, Ireland, was a president and chief executive of the Montana Power Company. On a tour of the Walt Disney Studios at age 11, he announced that someday he would become part of its animation team, and soon afterward began work on his own 15-minute animated short. Within two years, Bird had completed his animation, which impressed the cartoon company. By age 14, barely in high school, Bird was mentored by the animator Milt Kahl, one of Disney's legendary Nine Old Men. Bird recalls Kahl's criticisms as ideal: Kahl would point out shortcomings by gently delivering thoughts on where Bird could improve. After graduating from Corvallis High School in Corvallis, Oregon in 1975, Bird took a three-year break. He was then awarded a scholarship by Disney to attend California Institute of the Arts, where he met and befriended another future animator, Pixar co-founder and director John Lasseter. Upon graduating from the California Institute of the Arts, Bird began working for Disney. His tenure with Disney was brief, and he left the company shortly after working on The Fox and the Hound in 1981. He next worked on animated television series, with much shorter lead times. He was the creator (writer, director, and co-producer) of the Family Dog episode of Steven Spielberg's Amazing Stories. In addition, Bird co-wrote the screenplay for the live-action film Batteries Not Included. In 1989, Bird joined Klasky Csupo, where he helped to develop The Simpsons from one-minute shorts on The Tracey Ullman Show into a series of half-hour programs. In 1990, he directed the episode "Krusty Gets Busted" (which marked the first speaking role of Sideshow Bob) and co-directed the Season Three episode "Like Father, Like Clown." He served as an executive consultant for the show for its first eight seasons. Also while at Klasky Csupo, he was one of the animators of the Rugrats pilot "Tommy Pickles and the Great White Thing." He worked on several other animated television series, including The Critic and King of the Hill, before pitching Warner Brothers to write and direct the animated film The Iron Giant. Despite receiving near-universal acclaim from critics, it failed at the box office domestically, but grossed $103 million worldwide, making it at least a moderate box office success. The film impressed his old friend John Lasseter, founder of the computer-animation pioneer Pixar. Bird pitched the idea for The Incredibles to Pixar. In the finished picture, Bird also provides the voice of costume designer Edna Mode. As an inside joke, the character Syndrome was based on Bird's likeness (as was Mr. Incredible) and according to him, he did not realize the joke until the movie was too far into production to have it changed. The film became both a major critical and financial success. 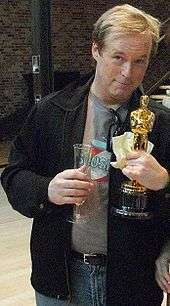 As a result, Bird won his first Academy Award for Best Animated Feature, and his screenplay was nominated for Best Original Screenplay. In the middle of 2005, Bird was asked by the Pixar management team to take over Ratatouille from its previous director Jan Pinkava. This change was announced in March 2006, during a presentation at a Disney shareholders meeting. The film was released in 2007; like The Incredibles, the film was another critical and box office success. In January 2008, Ratatouille won the Best Animated Feature award at the Golden Globes; it was also nominated for 5 Academy Awards, including Best Animated Feature and Best Original Screenplay. On February 24, 2008, Ratatouille won Bird his second Academy Award for Best Animated Feature Film. Bird has spoken passionately about animation as an art form. When Bird and producer John Walker recorded the Director's Commentary for The Incredibles' DVD, he jokingly offered to punch the next person that he heard call animation a genre instead of an art form. Bird believes animation can be used to tell any kind of story – drama or comedy, for an adult audience or children. Before he was sidetracked by Ratatouille, Bird began work on a film adaptation of James Dalessandro's novel 1906, which would be his first live-action project. In March 2008, Bird resumed work on the film, which is a co-production between Pixar and Warner Bros. The novel, narrated by reporter Annalisa Passarelli, examines police officers battling corruption in the government that causes the 1906 San Francisco earthquake to turn into such a disaster. The script was co-written by John Logan. Blogger Jim Hill suggested the film has been on hold due to Disney / Pixar and Warner Bros.' nervousness over the projected $200 million budget. In May 2010, with 1906 apparently still stalled, Bird signed on as the director of Mission: Impossible – Ghost Protocol, produced by Tom Cruise and J. J. Abrams. The collaboration was suggested by Tom Cruise following the release of The Incredibles, and was created with the help of J.J. Abrams, who sent Bird a late night text message saying "Mission?". The film was an international hit, grossing almost $700 million. Bird directed and co-wrote Disney's science fiction film Tomorrowland (2015), whose screenplay was co-written with Damon Lindelof. Bird is writing and directing a sequel to The Incredibles, which is planned for a 2018 release. The Incredible Mr. Limpet, a project that is still in development hell and was attached to direct at one point but was replaced by Mike Judge and many others. In addition to his Academy Award, BAFTA Award and Saturn Award wins, Bird holds the record of the most animation Annie Award wins with eight, winning both Best Directing and Best Writing for each of The Iron Giant, The Incredibles and Ratatouille, as well as Best Voice Acting for The Incredibles. His eighth Annie was the 2011 Winsor McCay Award for lifetime contribution to animation. 1 2 3 "Brad Bird – Director Bio". Retrieved December 31, 2009. ↑ Berens, Jessica (September 29, 2007). "Ratatouille: Year of the rat". The Daily Telegraph. London. ↑ "Brad Bird ancestry". Freepages.genealogy.rootsweb.ancestry.com. Retrieved August 15, 2012. ↑ Gaiser, Heidi (November 12, 2004). "Kalispell Native is the Superhero Behind "The Incredibles"". Daily Inter Lake. Retrieved August 7, 2011. ↑ Brad Bird (January 19, 2008). "Not My Job: NPR". Wait Wait...Don't Tell Me!. Retrieved January 27, 2009. 1 2 "Brad Bird". Montana Kids. Montana Office of Tourism. Retrieved September 3, 2011. ↑ Utichi, Joe (October 26, 2007). "Brad Bird Takes RT Through Ratatouille". Rotten Tomatoes. Retrieved January 3, 2009. ↑ Sciretta, Peter (March 13, 2008). "Pixar teams with Warner Bros for Brad Bird's 1906". /Film. Retrieved January 3, 2009. ↑ Hill, Jim (February 10, 2009). ""Incredibles" sequel is stalled until Bird can get "1906" off the ground". Jim Hill Media. Retrieved February 11, 2009. ↑ Kit, Borys (March 24, 2010). "'Incredibles' helmer on 'Mission: Impossible IV' list (exclusive)". Heat Vision. Retrieved March 27, 2010. ↑ Barnes, Brooks (December 9, 2011). "His Mission: Telling Stories to Grown-Ups". New York Times. ↑ "Brad Bird's 1952 is Now Tomorrowland". ComingSoon.net. January 28, 2013. Retrieved January 28, 2013. ↑ Chitwood, Adam (May 3, 2012). "Brad Bird to Direct Disney's Large-Scale Mystery Film 1952, Written by Damon Lindelof". Collider.com. Retrieved May 3, 2012. ↑ Graser, Marc (March 18, 2014). "Disney Plans Third 'Cars,' 'The Incredibles 2′". Variety. Retrieved March 18, 2014. 1 2 Hipes, Patrick (October 8, 2015). "Disney: 'Ant Man And The Wasp' A Go, 'Incredibles 2' Dated & More". Deadline. Retrieved October 9, 2015. ↑ Chitwood, Adam (May 9, 2015). "Brad Bird Confirms INCREDIBLES 2 Is His Next Movie; Talks Allure of Helming STAR WARS". Collider.com. Retrieved October 11, 2015. ↑ "Breaking: Toy Story 4 and The Incredibles 2 Get New Release Dates!". OhMy.Disney.com. October 26, 2016. ↑ "The Making of The Iron Giant". Warner Bros. Archived from the original on March 21, 2006. Retrieved October 29, 2016. ↑ Linder, Brian (2001-07-31). "Grazer Curious About CG George". IGN. Retrieved 2016-08-19. ↑ Christopher Orr (June 22, 2012). "'Brave': A Disappointment Worth Seeing". The Atlantic. Retrieved November 10, 2016. ↑ Gardner, Eric (February 15, 2012). "Warner Bros. Wins 'Last Samurai' Lawsuit". Hollywood Reporter. Retrieved November 10, 2016. ↑ Fischer, Russ (January 27, 2010). "What Happened to Brad Bird's 1906?". Slashfilm. Retrieved November 10, 2016. ↑ Bastoli, Mike. "'1906' to be Disney/Pixar/Warner Bros. collaboration". March 13, 2008. Big Screen Animation. Retrieved November 10, 2016. ↑ "T-Meter Rating of 'The Iron Giant'". Rotten Tomatoes. Retrieved April 22, 2012. ↑ "The Iron Giant Reviews, Ratings, Credits". Metacritic. Retrieved April 22, 2012. ↑ "T-Meter Rating of 'The Incredibles'". Rotten Tomatoes. Retrieved April 22, 2012. ↑ "The Incredibles Reviews, Ratings, Credits". Metacritic. Retrieved April 22, 2012. ↑ "T-Meter Rating of 'Ratatouille'". Rotten Tomatoes. Retrieved April 22, 2012. ↑ "Ratatouille Reviews, Ratings, Credits". Metacritic. Retrieved April 22, 2012. ↑ "T-Meter Rating of 'Mission: Impossible – Ghost Protocol'". Rotten Tomatoes. Retrieved April 22, 2012. ↑ "Mission: Impossible – Ghost Protocol Reviews, Ratings, Credits". Metacritic. Retrieved April 22, 2012. ↑ "Tomorrowland (2015)". Rotten Tomatoes. Flixster. Retrieved May 22, 2015. ↑ "Tomorrowland Reviews". Metacritic. CBS Interactive. Retrieved May 22, 2015. ↑ "Brad Bird (I) Awards". IMDb. Retrieved January 14, 2013. 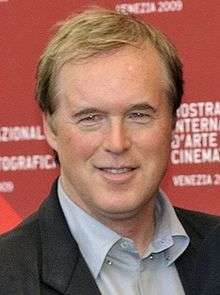 Wikimedia Commons has media related to Brad Bird. The Art of Making Pixar's Ratatouille Interviews with Harley Jessup, Sharon Calahan and Brad Bird accompany an article on the making of the film. Brad Bird Interview at Blu-ray.com Interview regarding the release of Ratatouille on Blu-ray.